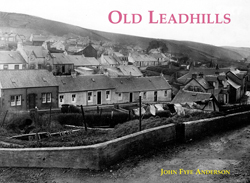 Lead mining has been the main industry here since the 13th century, and bestowed its name on this, the second highest village in Scotland. The industry had a long boom from the 17th century right through until the 1930s. This book captures the feel of the village during that time, recalling once familiar sights such as the light railway and the annual Sunday school trips into the countryside.